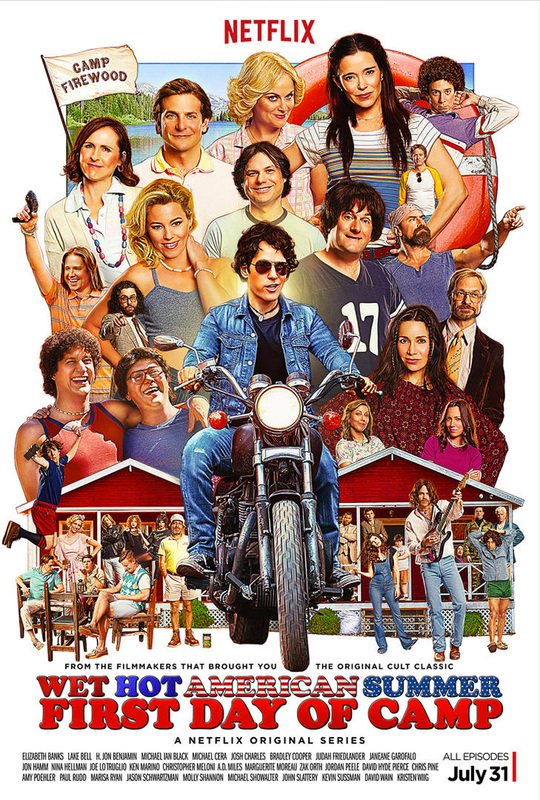 On the Mic with Tim Drake: Wet Hot American Summer: First Day of Camp hits Netflix today! 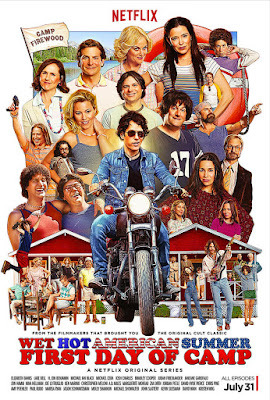 Wet Hot American Summer: First Day of Camp hits Netflix today! The much anticipated Netflix series 'Wet Hot American Summer: First Day of Camp finally hits Netflix today! Creators Michael Showalter and David Wain were able to get the original cast back for another trip to Camp Firewood. I know as a fan of the original movie I am incredibly excited to finally sit down and binge watch the show this weekend. If you've never seen the movie, you're in luck! It's also currently available on Netflix as well. So fire up your Netflix, put on your cleanest sweatpants, and set Domino's to your speed dial, it's a binge watching weekend! ...and so many more great comic actors! Check out the trailer below!